Home » Strategy » Why Go For Dividend Investing? Why Go For Dividend Investing? Dividend investing is a domain most people have touched and explored over time. Putting your money into dividends, apparently, all seems to be about ‘collecting checks and generating passive income’. However, there are a few basics to learn about this type of investing before you dive into it. Dividend investing is about building a collection of ‘safe’ blue-chip stocks that give high yields and help you in generating money through the year. Dividend investors get happy from getting regular cash deposits in their brokerage account. In dividend investing, you cannot choose the stocks that pay the highest dividend. However, high dividend stocks do work out well and pay out good returns. Nonetheless, people have remained a little skeptical about these high paying stocks in general. When considering dividend stocks, people tend to look at the good dividend investors/stocks. They look in terms of the dividend coverage ratio. If a company is earning $100 and is paying out $30 million in terms of dividend, this company might be a better choice than one paying $90 million as dividends. Dividend investors do not want to be paid more than 60% of the company’s profit as dividends. Dividend stocks can provide a strong source of income without you having to do much work. All companies ensure that they keep their dividends consistent in order to ensure that the amounts are paid on a daily basis. This makes sure that more investors will invest in the company but as they need a healthy company to invest in, they want things consistent. It’s better to have stable dividends to generate side or passive income. Without you having to move a muscle, dividend investing brings you many incredible benefits of earning side income. With dividend investing, you can use compounding in order to earn a higher income rather than investing the money on your own or limiting them to stocks and usual returns. You can profit twice or more through dividend investing. 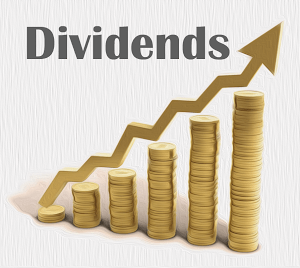 You can earn dividends but you can also have a return on investment when the prices of your shares increase. You retain your ownership with these dividend stocks but you also get a good share of the profits of the company. Reinvesting dividend earnings is also a good way to make the most out of compounding but it becomes easier when you try to explore dividend reinvestment plan. Through that, you get to reinvest your cash dividends back in the orthodox company shares. This will combine the benefits of compounding and the dollar-cost averaging. Finally, what they say about Dividend investing is that it is a safe way of investing your money. There isn’t much required from your end except buying the shares of a company whose shares you want to buy or invest in. The research part is yours but dividends remain an easy investment on the whole. Dividend investing is very popular and most traders do tend to put their money in company stocks in order to benefit from dividends. If you are able to make the right choices, there is no reason to doubt why it wouldn’t work. Just wanted to let you know that the “shares” sidebar overlaps the content on my macbook and makes it a bit hard to read the content. But apart from that, Great post! Exactly! It really is that compounding from reinvesting that gives dividend investing it’s huge advantage! Nice job! IAnd it is a 2 way win opportunity, cashflow from dividend and when the stock price goes up, increase of net worth. Is there an other investment strategy that can do this?